SNL’s TechTalk on the Iphone5. Pretty funny. “Despite the media attention surrounding both the Apple Maps issue and the Apple Lightning port issue, neither has had an impact on the massive numbers of buyers queuing up to buy the iPhone 5,” said Dr. Paul Carton, ChangeWave’s vice president of Research. “Rather, the survey results show both issues hardly rank as bumps in the road. 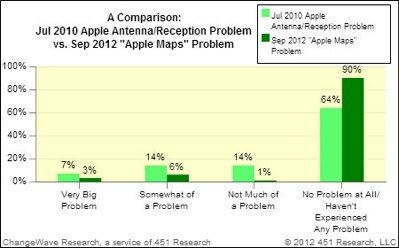 The 90% no problem number matches up well with Mike’s Google Survey which showed that 91% of iOS 6 Users didn’t have a problem with Apple Maps and were not going to jump off the Empire State Building. For that extra 1%, it’s going to be a long way down. Q: How do I add, edit or update my business listing in Apple Maps? 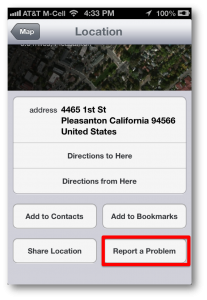 Q: How do I fix my business location in Apple Maps? 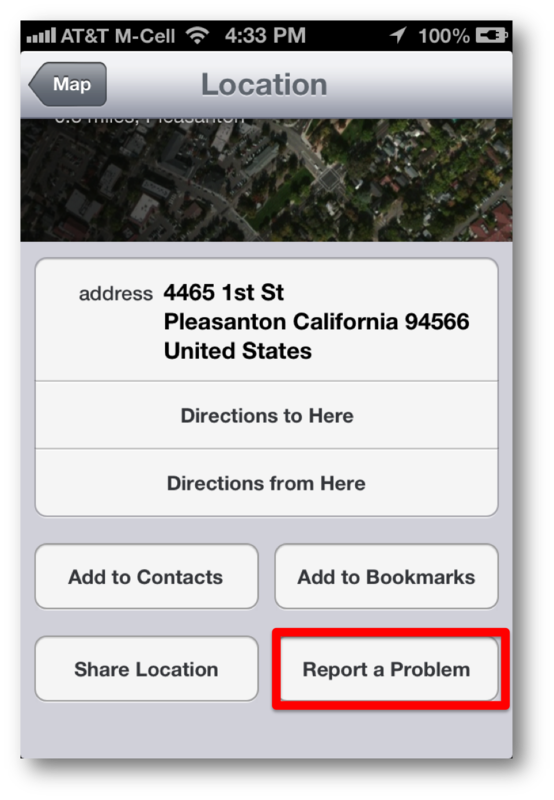 If your business is located in the wrong spot on the Map, in the “Report a Problem” section, you can either drag the map pin to the right location (which is not very accurate) or you can submit a recommendation for updating the location info. Q: What is the verification process for changes to listings? A: No official answer currently exists. In the U.S., my best guess is to use Localeze’s Premium Listings service. 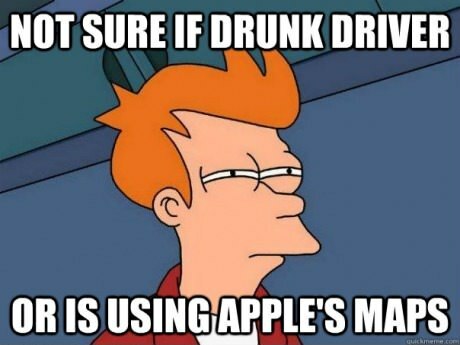 It’s likely to be faster than whatever internal process Apple is using. Q: How do I monitor the progress of a listing amendment? Q: Can I take ownership of my business entry and have access to analytics data? A: No official answer currently exists. My sources tell me that this is likely a year away. Q: Will I be notified when my listing is updated? A: No official answer currently exists. Evidence to date suggests if a change is made then the person reporting the problem is not notified. Q: How will I know if my listing is rejected? A: No official answer currently exists. Q: How long can I expect it will take to have a new business listing added to the maps? A: No official answer currently exists. Some reports suggest within 24hrs. Others have waited 18+days and still can not see their listing. 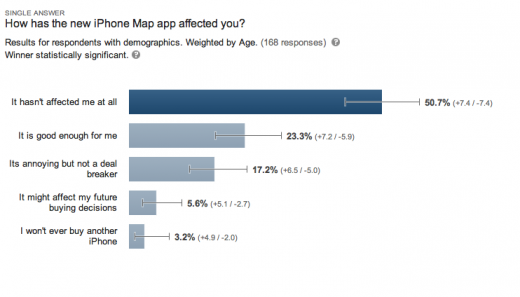 Mike Blumenthal surveyed iOS6 consumers about their satisfaction with Apple Maps and the iPhone. One of my first experiences with Apple Maps was mapping a route to an address in the next town over that was not yet in Apple Maps’ database – 4465 1st St. in Livermore, CA. I reported the problem and about within a week or two, the location was added and live. Seems like fixing the missing POIs is a high priority, as it should be. As you can see from this thread, a lot of people are seeing this too. Also interesting how many people are submitting recommended fixes. While I don’t want to underestimate the scale of the problem, hundreds of millions of crowdsourced fixes can improve things rapidly. 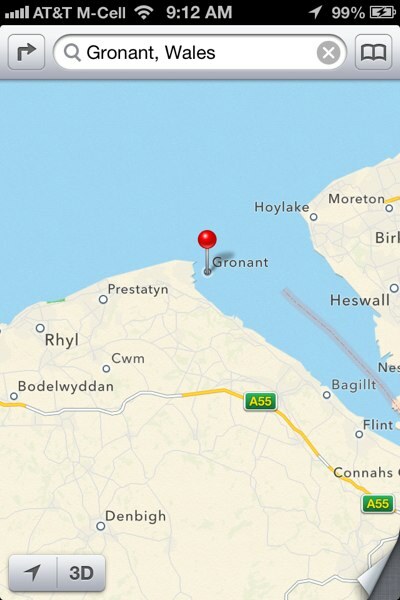 Probably not soon enough for the soggy folk of Gronant, though. The answer is: pretty darn fast. 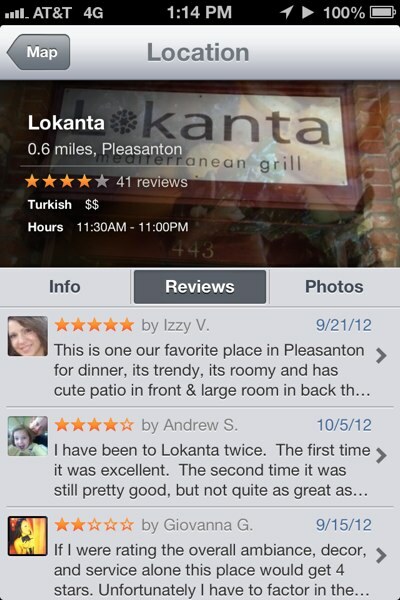 I posted a new review for Lokanta, a new Turkish restaurant in Pleasanton, on Yelp at 9:29am PT today. The next time I checked it at 1:14pm, it was displayed on Lokanta’s Reviews screen on Apple Maps. 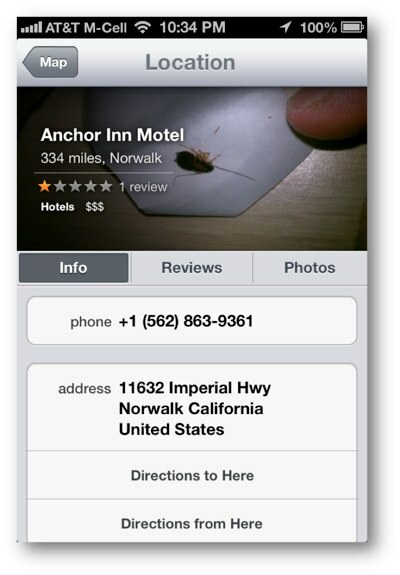 If this is happening to you, you definitely want to upload some more photos to your Yelp business listing to push the cockroach down in the list. There’s no guarantee you can make it not show up, but if there are a lot of photos for your business, it’s less likely the bug will be seen. In cases like these you’ll want to get some good reviews right away to push these bad ones down. There doesn’t seem to be a review “diversity” algorithm that favors display of different opinions, but at some point I am sure that will happen. For now though, a couple of good reviews can get rid of that asap. Remember that in order to avoid getting these good reviews filtered, you should make sure the reviewers have some connections on Yelp to other reviewers, particularly Elite reviewers in your area/niche. If you can’t get the reviews on Yelp.com, you can leave a “Tip” via the Apple Maps profile. New tips get immediately added to your profile on the Yelp mobile app and may eventually show up on your Apple Maps profile, pushing the bad stuff down. That said, my initial tests show that reviews from Yelp.com show up pretty fast on Apple Maps. That’s all for now. Let me know if you figure anything else out. As I discover more about how the system works, I’ll let you know. And if you want to stay current with all of the latest, please subscribe to our RSS feed or our newsletter (see on the right side). I’ll be sending the first one out shortly. Want to know how to get your business listed on Apple Maps? Too bad. You can’t. Not directly, anyhow. UPDATE 10/22/14: Apple launched Apple Maps Connect to allow businesses to add and update their listings on Apple Maps! Check out my Apple Maps Connect FAQ. v. Add your business data via the various fields and submitIt’s unclear how often Apple is updating the maps based on user-submitted data, but my guess is they are furiously figuring out how to do it asap. 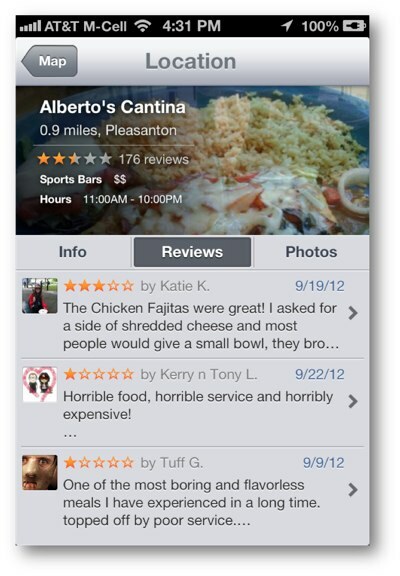 Yelp syndicates reviews and other content to Apple Maps. If your business has been verified on Yelp, there’s a good chance that it will show up on the maps. If you do not already have a business listing on Yelp, check out How To Add Your Business Listing To Yelp.Again, it’s unclear how often Apple updates the Yelp data, but my guess is this is some of the more frequently updated data on the maps. Localeze is the core U.S. business listing data provider for Apple Maps. If your business is not listed on Apple Maps, go to this URL to check if your business is in Localeze’s database. If not, you can submit your information to Localeze for free. That said, the free submissions can take a while to make it into the database. Depending on how complex it is to verify your submission, the premium submission ($297/year) can take 1-2 weeks. Localeze provides updates to Apple on a regular basis, although we don’t know how often Apple is updating the Localeze data. Note: Localeze Premium listings retail for $397. I can get it for you a lot cheaper, so get in touch if you need a submission. Factual.com is another key global business listing data provider. You can submit your listing here. Acxiom is yet another global data provider to Apple Maps. You can submit U.S. listings via My Business Listing Manager. OpenStreetMap is kind of like the Wikipedia of maps. Anyone can contribute to it. It’s a bit complicated but once you figure it out, it’s pretty easy. Apparently Apple was using an old version of OSM, but it may have been updated by now. In the future, I wouldn’t be surprised if Apple creates a formal business claiming process, but I wouldn’t expect that for at least another year. 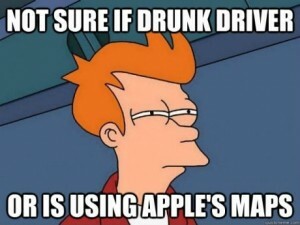 I doubt Apple is going to create its own data verification process. Working through a system to allow business claiming while running verification through its various data partners is likely less of a priority than making sure the mapping functionality works. If you are asking yourself “how can I add my business to Apple maps?” and you don’t have a good answer, feel free to contact me and I might be able to help. 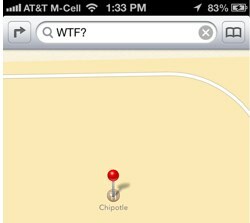 UPDATE: I am now offering a service to help get your business listed on Apple Maps. More info here. 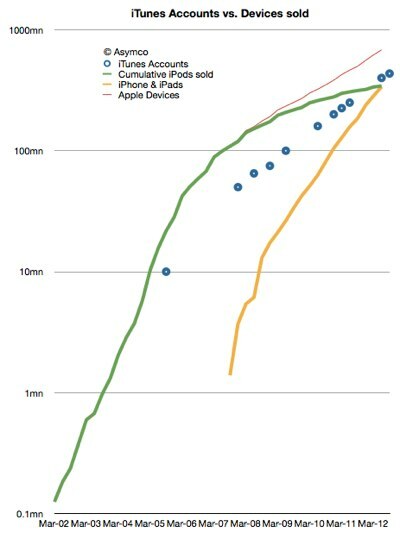 1,000,000,000 iOS devices in use by 2015.